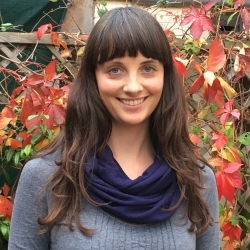 Christine Fenning has been a Researcher at Mokoro since October 2016. Her background in sociolinguistics and education led her into teaching languages before completing a post-graduate degree in International Relations. Since 2011 she has worked in the Humanitarian / Development sector, mainly in South Sudan, focusing on reporting, conflict-sensitive programming, programme management and donor/partner relations. Christine has broad experience in research analysis, reporting and information management, as well as experience in monitoring and managing large-scale projects funded by the EU, the Netherlands, DFATD-Canada and DFID; her work has also involved collaborating with various other governments, NGOs and UN agencies. She retains a strong interest in education. Recent assignments include the review of hosting arrangements for Education Cannot Wait, a global fund launched at the World Humanitarian Summit in 2016; a summative evaluation of UNICEF’s support to education in Zimbabwe; evaluations of WFP’s school feeding programmes in Ethiopia, Bangladesh, Laos and Nepal; prospective evaluations of the Global Partnership for Education’s support in DRC, Malawi, and Nepal; and the mid-term review of the National Information Platforms for Nutrition.